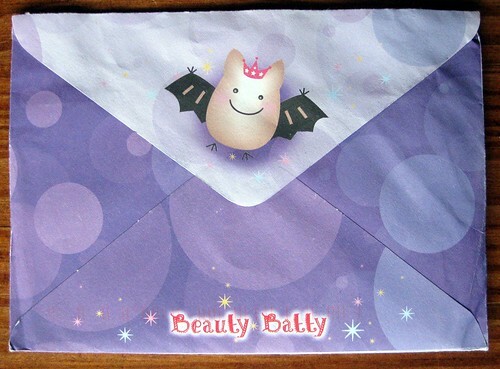 This fabulous blog reader letter from Ireland came on the cutest stationery: Beauty Batty! Obviously I went "squeee!!" and kvelled over it for a while before I even opened it. 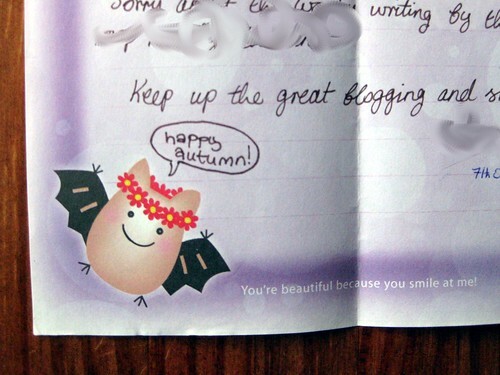 The inside page did not disappoint - what cute little batties! 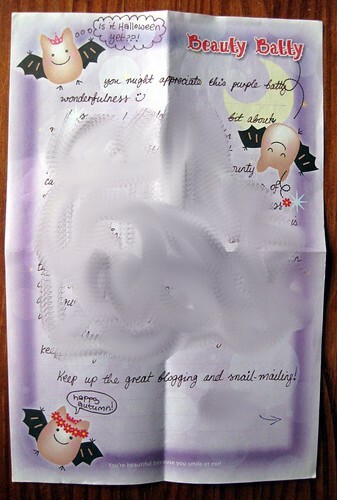 I should mention that it was also a delightful letter. I don't hear a lot from Ireland, so that was cool in and of itself, but this was a fine letter to receive. Here are a couple of closer looks at these plump little bats. 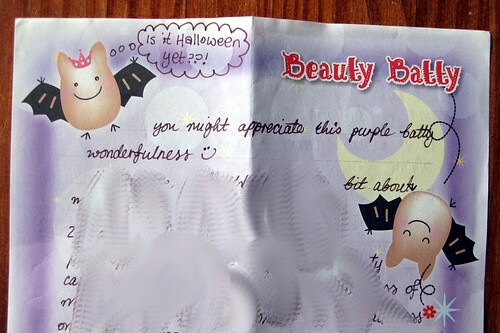 Note the "you're beautiful because you smile at me" line at the bottom of the printed page. Does this gal read my blog well or what? 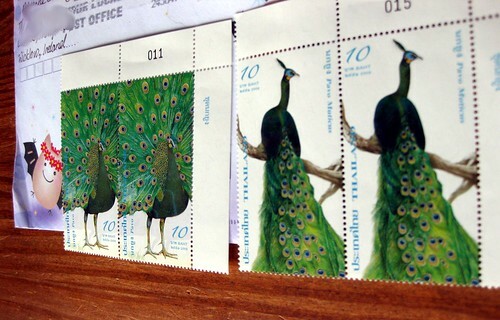 She actually sent me some of those gorgeous Thai peacock stamps I'd previously praised! 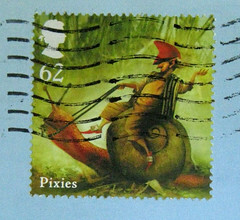 Who would have thunk I'd get Thai stamps from Ireland? That is adorable stationery. 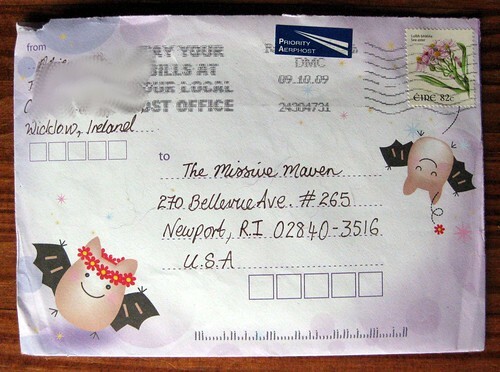 (^o^) The squares for the zip/postal code kind of remind me of Japanese envelopes(?). I love it all . wow how cute that is . awesome dear . those are the cutest bats ever! 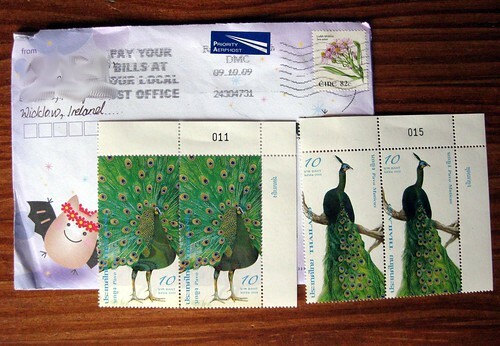 and the peacock stamps: beautiful!